Established in 2002, Brindle Foundation is a small family foundation based in Santa Fe, New Mexico with a focus on Early Childhood. We carry on a legacy of caring and thoughtful philanthropy created by Martha Ann Healy. The weekly Nuestra Jornada (Our Journey) Young Parents Group at Gerard’s House gives essential support for Latina immigrant moms, dads and their babies. Since 1997 Gerard’s House has been supporting grieving children and families. The Nuestra Jornada program recognizes the grief and uncertainty many immigrant youth experience. NMAEYC, the state chapter of the National Association for the Education of Young Children, supports the many early childhood teachers in the state, providing resources and advocating that these professionals deserve greater recognition for the essential role they play as the educators of our youngest children. Story time at the Embudo Valley Library offers families in this rural community opportunities to understand the importance of reading, singing and playing with their babies and toddlers, building the foundations for early literacy when a baby’s brain is developing rapidly. Many Mothers trains volunteers to provide much-needed assistance and respite to moms and dads with newborns. Having a baby can be exhausting; having a trusted volunteer watching your baby so you get a nap can make all the difference. REEL Fathers encourages fathers to engage more with their young children through film, storytelling, shared art activities, and meals together. In group meetings, dads can share experiences about their own fathers and their hopes for their children. We are looking forward to seeing a strong New Mexico contingent there! October is new territory for ZERO TO THREE. Explore it with us in 2018! “New Mexico’s dismal ranking should serve as a wake-up call to our state that we must act—and that action must be comprehensive and sustained... The data show we are at a crossroads—we can continue to disinvest in our children or we can insist upon a new direction, one in which we make a deep commitment to improving conditions for all New Mexicans.” -James Jimenez, New Mexico Voices for Children in response to this year's KIDS count data. 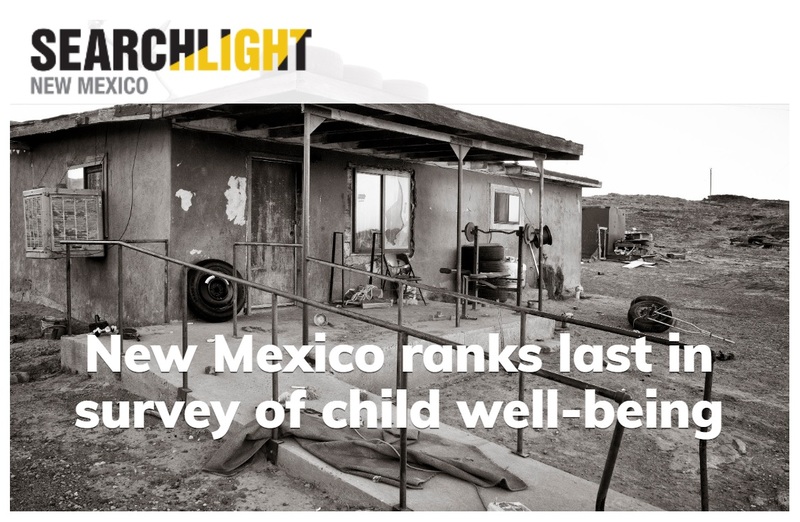 See Searchlight New Mexico for their coverage and other excellent articles about early childhood in NM. 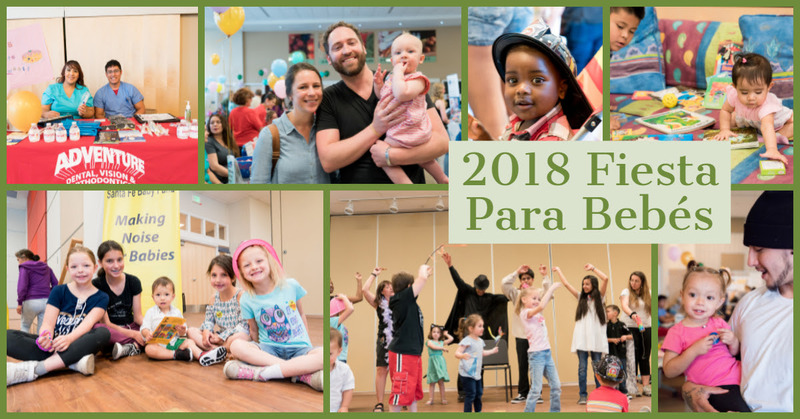 The 4th Annual Santa Fe Fiesta Para Bebés on Saturday May 12 at El Camino Real Academy brought together families with more than 30 providers of local services and opportunities. The day included drawings for free diapers and prizes, activities for young children and lots of balloons. With appreciation to Santa Fe Baby Fund for organizing this great event!